Happy New Year! We would like to take this opportunity to thank you for making 2016 an exciting year for us. 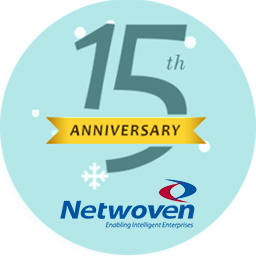 This past year, Netwoven celebrated it’s 15th anniversary – celebration of innovation and excellence. This marked a significant milestone for Netwoven, which was first set up in 2001 by a handful of dedicated professionals. Today, Netwoven is home to over 100 employees in several different locations, all relentlessly working with large enterprise customers to provide solutions for business productivity, customer engagement, infrastructure services and big data analytics. As we begin this new chapter of our history, it has given us an opportunity to reflect on what we have accomplished and, more importantly, to consider where we are headed. It starts with our most important asset, our people. Over the past few years we have assembled a well-balanced team in Sales, Service, Marketing, Administration and Operations that work as a cohesive unit of providing the highest quality IT support and services. Although the company has grown and changed over the last 15 years, our main focus, as always, has remained Client Experience. The agility and dedication our team possesses allows us to continue to be a top performer and consistently grow our business. What keeps us working hard is our great relationships with many clients in this community and around the world. We are fortunate to have a diverse group of clients that grow every month and push us to deliver our best. When we look to the future, we see great things. Technology is consistently changing and we hope to be by your side, adapting this change together. We thank you for celebrating this important milestone with us. And we especially look forward to another 15 years of success. We hope you all had an amazing Holiday season and can’t wait to see what this year has in store for us. Recap our 15 Year journey here.